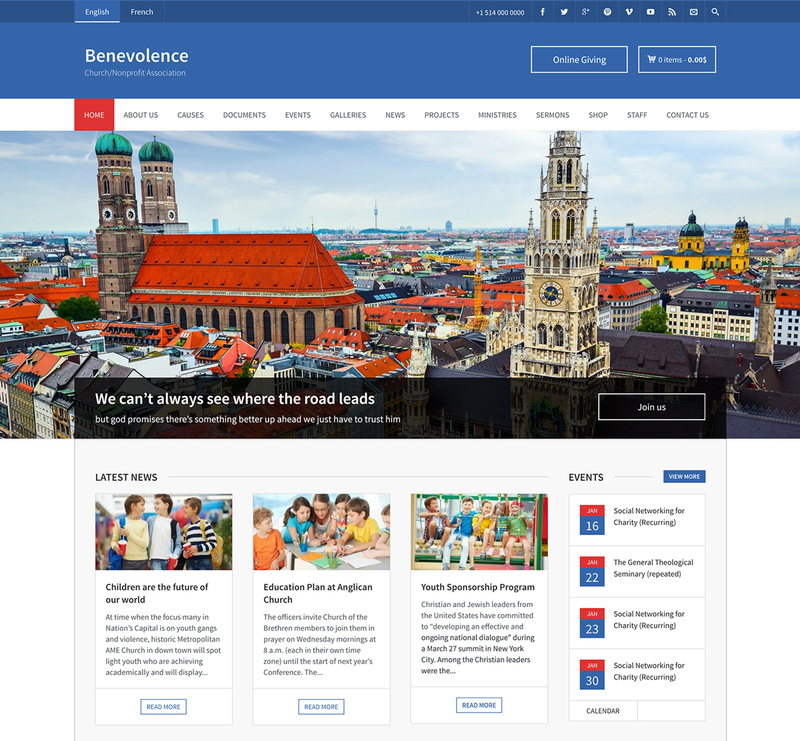 Benevolence is Free responsive HTML Template perfect for Churches, Nonprofit Association, Foundations and Charity Organizations. This beautiful template comes with necessary features for your online presence like causes, projects, events, gallery, and much more. Try Benevolence HTML Template today if you want an easy-going solution for your charity website! You are not allowed to remove the footer credits, Footer Credits Must Remain in Place! This Free Church HTML Template is easily customizable and clean but still professional template. With a responsive design, Benevolence provides an optimal viewing experience and will make your website looks great on across a wide range of devices and screen sizes. This beautiful non-profit HTML template includes all needed pages for nonprofit website development!